We at Bush are very proud of our alignment machines, which are among the best in the industry! Our sophisticated machines allow us to check & adjust caster, camber and toe settings on almost any vehicle! "Poorly aligned wheels significantly contribute towards you obtaining less miles from your next set of tyres." 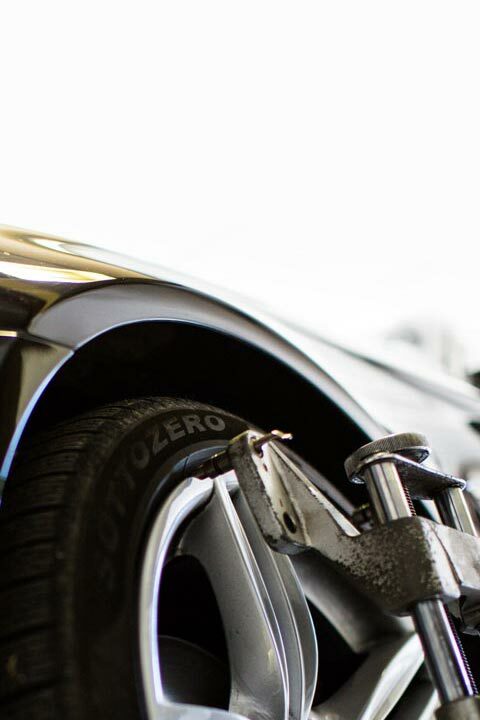 Which means, getting a proper alignment from Bush Tyres can save you considerable amounts money and could save you having to replace your tyres. Bush Free Fuel Saving Advice! Our FREE ALIGNMENT CHECKS could save you up to £99 a year on your Fuel Bill! Wheel alignment checks are FREE. Any adjustments made to a vehicles suspension is chargeable. Ask in store for more details.